After an election costing roughly five billion dollars, politicians have yet to face the reality that debt ceilings cannot be raised forever, and fiscal cliffs simply get taller over black hole status physics. It will become apparent soon that both politics and sports (perhaps one and the same) are essentially non-productive interlopers in creating wealth and jobs for the economy. It is true that, looking at the short term, these seem to provide wealth, but the immensity of their great facades and their cultural vibrancy in all venues of the media is largely an illusion. They thrive on the backs of taxpayers who produce and provide products and services via sweat equity. 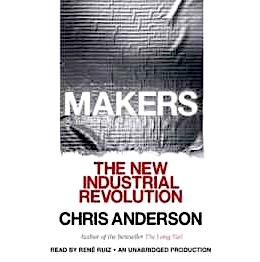 In his book MAKERS, the editor of Wired magazine Chris Anderson shows why we must return to manufacturing, and how the future the new industrial revolution will be individual micro-manufacturers of small batch, customized products. Rather than huge plants with massive assembly lines, the market is shifting toward crowd-funded garage startups and small businesses that use new strategies to find customers and generate sales. In the future, more people than ever will run their own assembly line, and may not need to appear on Shark Tank to survive. Read by Rene Ruiz, the audiobook reveals how digital fabrication can utilize online factory services to generate smaller runs of product without the need of a big box store. 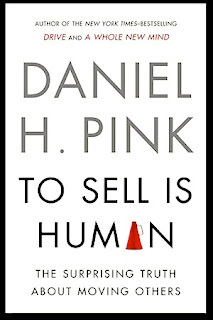 If you have an idea you'd like to bring to market, this book is a good place to start. 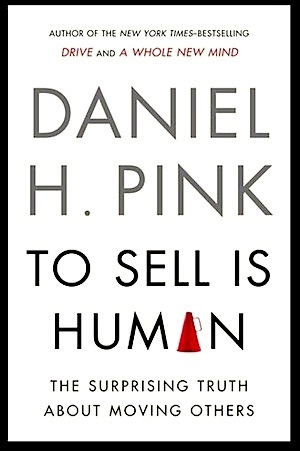 Also, in TO SELL IS HUMAN author Daniel H. Pink (who also reads) discusses the art and science of selling, making more effective pitches than those done in elevators, and how to make your message clearer and more persuasive by understanding the perspective of the customer.